A dancer's shadow triggers our emotions in front of an abandoned building. 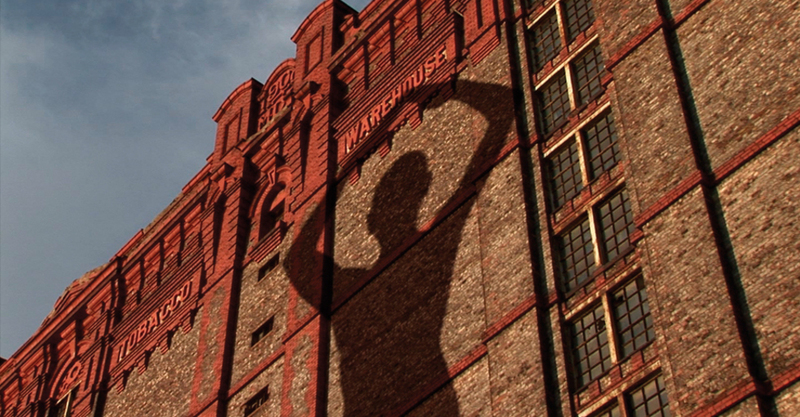 As we follow the shadow of a mysterious dancer along brick walls in the video by Monika Koeck "LEFT BEHIND", an emotional exposé of Liverpool's famous Tobacco Warehouse (Liverpool, 1901) is revealed by means of an abstract narrative. An industrial building that today lies empty, regardless of its historical significance, in a vast and abandoned dock landscape. According to a statement by her production company CineTecture, the work emphasizes the dancer, architect and video artist's use of an existing space as a narrative component of the story. The warehouse, considered to be the largest brick building in the world, is thus the territory of an enigmatic figure that has a similar scale and seems to relate symbiotically with the site. "LEFT BEHIND" was selected by Image because it captures the delicate relationship between this kind of marginal spaces and the city. The work is a considerate and poetic reflection about the fragile nature of the reuse of industrial archaeology.